Today’s post is the last part of the lighting series. Now that we have talked about different types of lighting and how to layer lighting in the series, let’s talk about how to remedy a dark room! There are generally a few reasons why the room feels dark and gloomy. First is usually because of the windows, either you have something obstructing the light source or you don’t have one. Second, you may not have an overhead light. Here are 5 sure-fire ways to brighten a room. Overhead lighting provides a soft, background lighting that helps the space to be evenly lit. You can also add a dimmer to control how brightly lit you want the room to be. Overhead light can either be very subtle, like recessed lighting, or a focal point, like a chandelier. Reflective surfaces are things like glasses, mirrors, metal finishes, etc. Reflective surfaces can also be more subtle, like the finishes of the paint, chair surfaces, etc. Having reflective surfaces are especially great for small spaces where the light can bounce off these reflective objects and make the room feels brighter and bigger. I love mercury glass as a finish as well. The reflections are not as harsh when you have a bright light source. When I have projects with rooms that feel gloomy, I usually use lamps that have shiny finishes or glass finishes to make the space feels brighter. Using mirrors is also a great way to introduce light and make the space feels bigger and brighter. 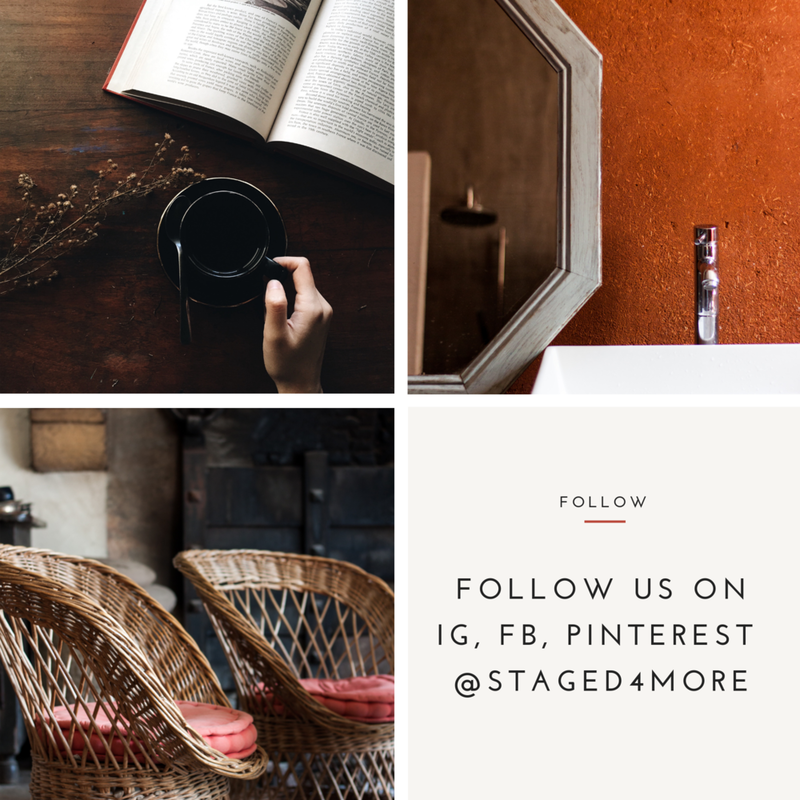 There are plenty of places to add your lights: night stands, desk, side tables, sofa tables, entry way, on the walls, etc. Windows is also a great and natural light source. Like we talked about in the last post, layering is a great way to add depth and visual interests to the room. A mix of different types of lighting (ambient, task, accent, decorative) will ensure that you get a functional and well lit space. All the light fixtures have a label that tells you what are the maximum wattage bulbs that you can put in them. This is important because of fire safety. When you choose light bulbs, depending on your purpose, your focus may be different. For task lighting, generally you want brighter bulbs, which is determined by the lumens of the bulb. 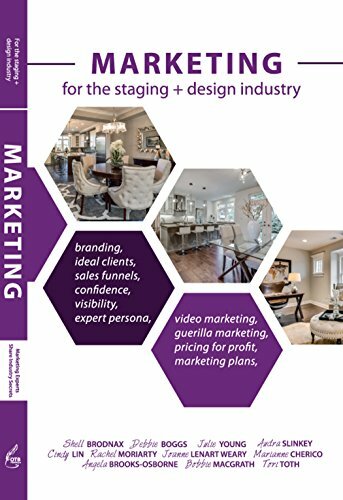 For staging or styling purpose, we are often more concerned about the appearance of the lighting, the coloring of the light once you turn on the light bulb. The packaging will generally tell you if the bulb will be warm or cold. Warmer lights are more orange and yellow. Colder lights will be more blue and white. These colors can impact how colors in your room look. For staging, I generally will gauge the color temperature of the room to determine which types of light I will use. I also must say that CFL (Compact Fluorescent Lamp) light bulbs get a bad rap. It has come a long way and now there are many color options as well instead of the cold, white light. NPR has this great guide to changing light bulbs. There are a lot of factor, like neighbor’s house, for example that you can’t change. But often times, your window is not getting much light because of things like overgrown trees, which you can change. You don’t have to remove the entire tree, but often times a trim will allow more lights in.